Home Elliptical Trainers Under $1500 * Comparison & Reviews (2018-2019) – This is a roundup, comparison and reviews of the best rated elliptical trainers under $1500 dollars and higher than $1000. These are the high end elliptical trainers. They differ from the less expensive machines in that they weigh more, have more features, can handle heavier user weights, are better built, and generally longer warranties. Elliptical Trainers provide an excellent form of aerobic exercise at home that you can do no matter what the weather is outside. 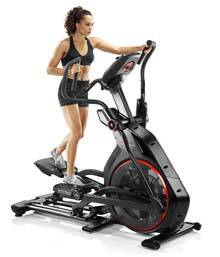 Elliptical machines are easier on your joints than other forms of cardio exercise. These low-impact exercise machines also build arm and leg strength. You can compare each elliptical trainer below by features such as workout programs, reviews, maximum weight capacity, price, and other features. A glossary of terms is available at the bottom of this page.